A new elementary-style screencasting tool is seeking wider testing. Eidete, which is in heavy development, makes use of elementary project technologies like Granite and Contractor. The result is an application that’s simple, featured and a snap to use. 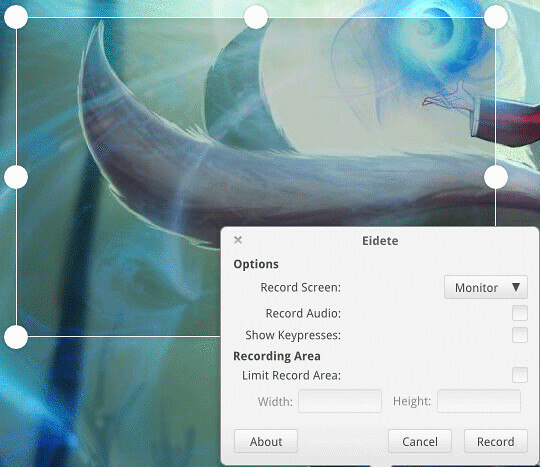 Eidete is Screen Recorder/Desktop recorder tool which has really nice features and quality. 4 comments to ''Install Eidete Screen Recorder on Ubuntu/Linux Mint"
E: Não foi possível corrigir os problemas, você suspendeu pacotes quebrados.